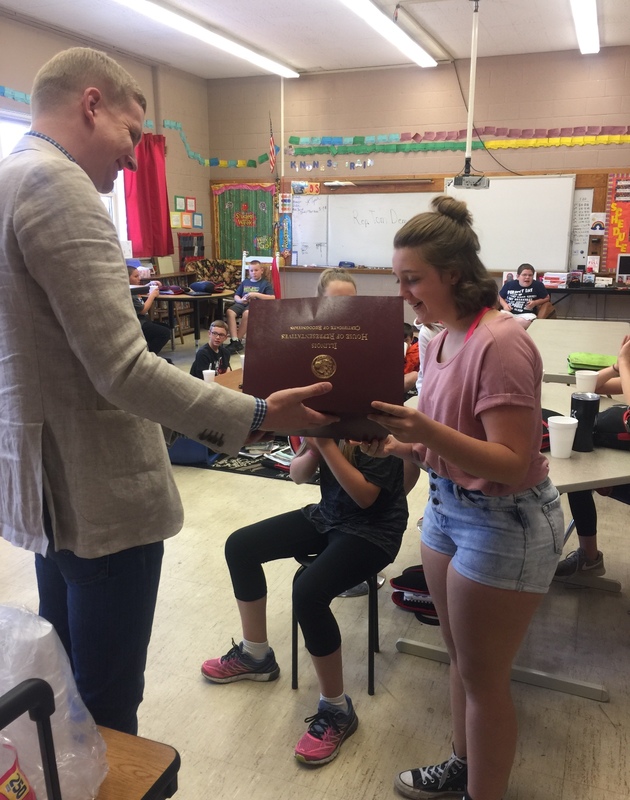 Rep. Tom Demmer with 2017 Summer Reading Club Party winner Haleigh Stenzel (Amboy Junior High School), May 7, 2017. 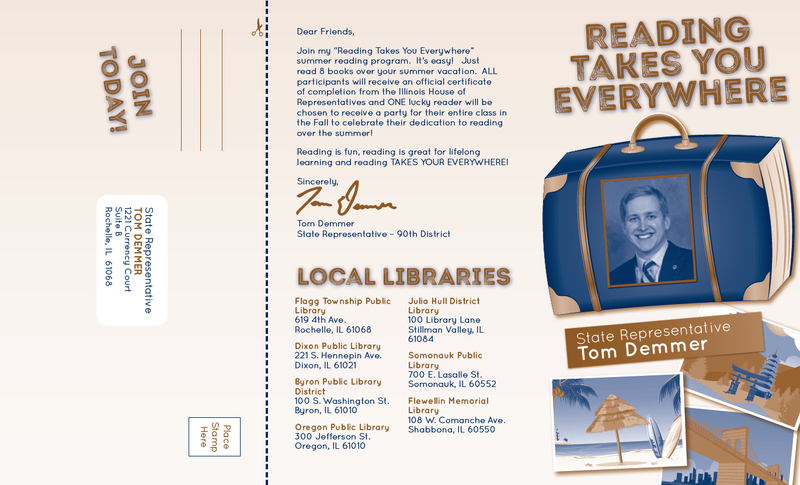 State Representative Tom Demmer announced the official launch of his Summer Reading Club Program for grade school students who live within the 90th Illinois House District. The program is offered to encourage summer reading among local youth and promote the lifelong benefits of literacy. Free brochures are available for download on Rep. Demmer’s legislative website at tomdemmer.com or by calling his Rochelle District Office at (815) 561-3690. “Students who read over the Summer are better prepared to return to school in the Fall. Reading is fun, as well as being great for education, enjoyment, and lifelong learning. I am proud to join area schools and libraries in helping promote summer reading to area students,” said Rep. Demmer. Participating students are tasked with reading eight books over their summer break. Books from local library programs are accepted; and books of 150 pages or more count as two books. 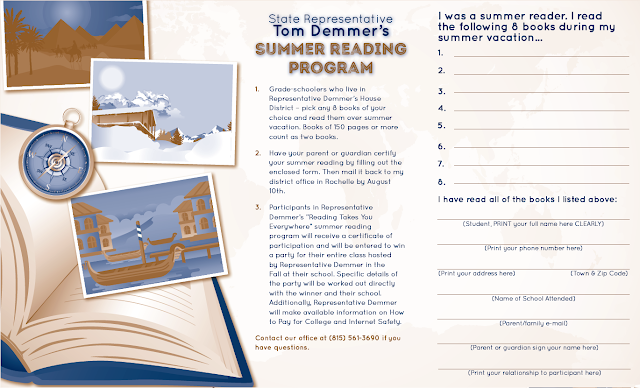 After a student completes his or her reading list, they must have a parent or guardian certify the reading was accomplished and return the signed form on the brochure to Rep. Demmer’s office by the deadline of Friday, August 10th. Students who successfully complete the reading club will receive a certificate of participation and one reader will be selected to win a party for their entire class during the upcoming school year. Details will be worked out directly with the winning reader and their school. Participants may submit completed applications online here.